Since 1958, Gaston’s has welcomed guests to the White River for unparalleled trout fishing and adventure. Choose from more than 70 cottages, from a cozy spot for two to a two-story cottage with 10 private bedrooms. On the water, trophy size brown and rainbow trout await, and Gaston’s experienced guides—not to mention the fly fishing school—will have you reeling them in in no time. The dining experience at Gaston’s is a can’t-miss event in itself, from the Shore Lunch (see more on page 24) to the amazing Sunday brunch. Adding to the uniqueness of Gaston’s is the 3,200-foot-long Bermuda grass airstrip, which allows for anyone to fly in for a visit. Lindsey’s Resort in the Ozarks on the Little Red River has been serving families and groups for more than 40 years. With rustic log cabins, riverside vacation home and camping, you’ll find yourself surrounded by nature. Lindsey’s offers boat and kayak rentals, as well as guided bait and fly fishing trips. The recently renovated resort also boasts the Pot O’ Gold Restaurant, as well as a full-service bait shop. Situated on a wooded point at Lake Ouachita, Mountain Harbor Resort & Spa is just 25 miles west of Hot Springs and an hour-and-a-half from Little Rock. 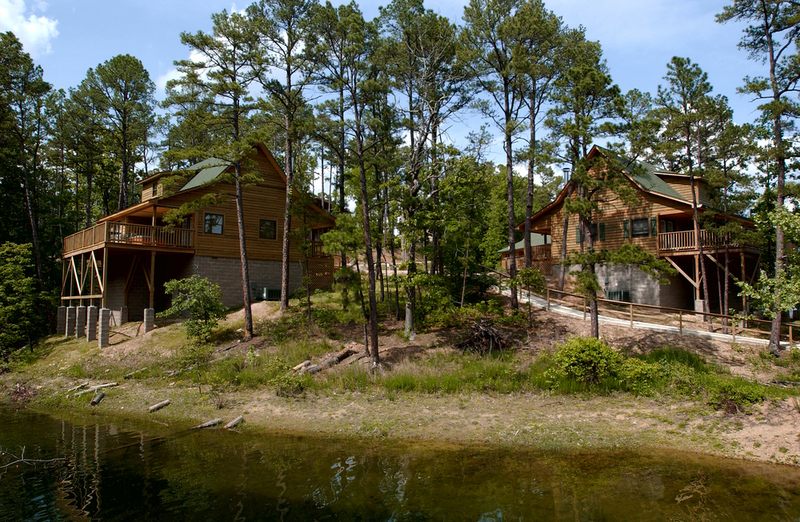 The lodge area offers lakeside cabins, cottages, cabanas and condos, as well as larger properties perfect for groups. The marina will have you out on the water in no time, with boats and barges for fishing, skiing and relaxing available for rent. Hire a fishing guide for the day and find Lake Ouachita’s sweet spots, then relax in the evening with dinner at Harbor Lodge Restaurant. For even more relaxation, book a massage or other treatment at Turtle Cove Spa. Combine southern hospitality with great trout fishing and what do you get? 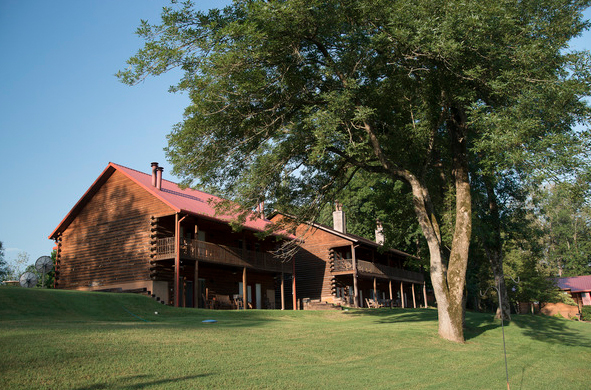 Stetson’s on the White originally opened with a few campsites in the 1950s during the construction of the Bull Shoals Dam, and today’s incarnation offers 22 modern log cabins packed with amenities, including full kitchens, fireplaces and large outdoor decks with grills. Rent a boat and strike out on your own for a day of fishing, or hire a guide to take you and your friends or family on an unforgettable adventure. No rod and reel? No problem. You can also rent all the gear you need for some quality time on the White River. Located on Table Rock Lake, Big Cedar Lodge offers a one-of-a-kind getaway experience. Choose from more than 250 well-appointed accommodations ranging from deluxe lodge rooms to luxury suites, cottages and private cabins, plus several dining options and the new 18,000-square-foot Cedar Creek Spa at Big Cedar. Bent Hook Marina offers boat rentals and all the gear you need for bass and crappie fishing on Table Rock, as well as guide services; you can even try your hand at bowfishing! If it’s trout you seek, head to nearby Dogwood Canyon Nature Park for half-day guided catch and release fishing, fly casting clinics, a two-day Orvis fly fishing school, and catch and keep opportunities.